HS2 staff will be running information events in local communities along the route. People living close to the new high speed rail link between London and Birmingham will have an opportunity to speak to experts working on the project during a series of HS2 community events starting later this month. Staff from Hs2 Ltd will be available to talk about how the project is progressing and answer questions as part of an ongoing programme of information sharing with local communities. A new high speed rail network will bring significant benefits for the country but we do understand that it effects peoples lives. We want to talk to local communities directly about the proposals and these events are a chance to do so. Our specialists will be on hand to help and I would encourage people to come along if they can. 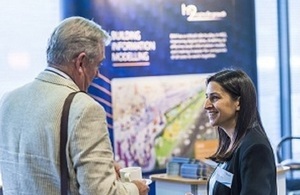 At the events, HS2 Ltd staff from a range of disciplines including engineering, environmental and property will be on hand answer any queries.